The County of Norfolk’s strong association with Admiral Lord Nelson can also be found in Holt. 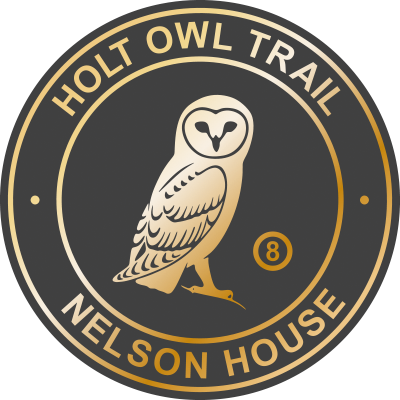 The naming of “Nelson House” resulted from its former ownership by relatives of Nelson and he is reputed to have stayed here as a boy. 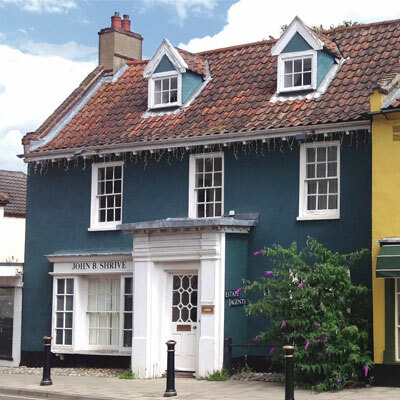 One of Holt’s iconic buildings, the strongly colour washed 18th Century house is Grade II Listed. The steep pantiled roof boasts two gabled dormers with casements, a fine entrance porch and modillion eaves. 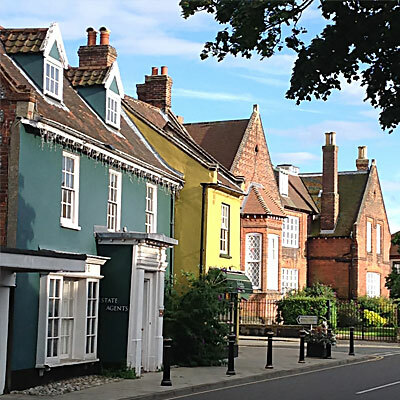 Most of the medieval town was destroyed in the Great Fire of Holt in 1708 and its rebuilding was made possible from £11,000 donated from all over the country. Today the town is particularly notable for its fine Georgian buildings. Please take care when crossing White Lion Street to Plaque 9.